First LookMedia and ContentFilm have "mutuallyagreed" to end the merger discussions that had been underway since thecompanies signed a non-binding letter of intent in June. In a statement, thetwo parties said they were "unable to resolve certain businessissues." "Both companies determined that itwas not in the best interests of either First Look Media or ContentFilm,and their respective stockholders, to proceed with the merger," said FirstLook CEO and co-chairman Chris Cooney and Content jointchief executive John Schmidt in the statement. US-based First Look (which Cooney runswith president and COO Bill Lischak) and UK-USoperation Content (which Schmidt heads with Ed Pressman) were first reported tobe in talks nearly three months ago. The proposed deal called for First Lookassets to be folded into Content, which would have assumed First Look's debt(reportedly worth about $12m) and issued stock worth a reported $15m. The dealwould have united Content's production, distribution and sales operations withFirst Look's international sales and US video and theatrical distributioncapabilities. First Look's 350-title library was also understood to be coveredby the proposed deal. Cooney told Screen International this week that the business issues which couldnot be resolved were "very straightforward stuff on valuation." Basically,he confirmed, the companies could not agree on price. Cooney added that First Look does not planto seek out an alternative corporate link-up. "We're really going to stickto our knitting and grow the business organically," he said. "We'llcontinue growing in our ability to put film financing together on commercialdriven projects." First Look and Content may still, however,work together on the production and distribution of specific projects, Cooneyconfirmed. The companies are currently considering "a couple of smalldeals" under which First Look would handle US DVD distribution of Contentfilms. First Look International's current slateincludes Cake, Stateside and Sundance hit September Tapes (which First Lookwill release theatrically in the US next month). The company's US video slate includes Mayor Of Sunset Strip and Close Your Eyes. 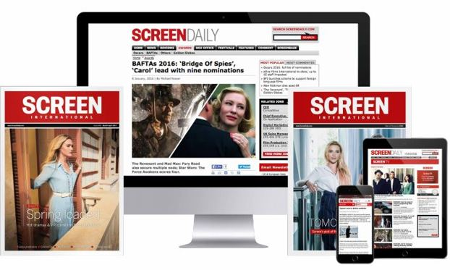 ContentFilm hasbeen building its profile in the UK and the US since completing a reverse merger withUK-based Winchester Entertainment last November. The company's credits include The Cooler, Party Monster and Undertow. Content is the UK distributorof last week's Edinburgh Film Festival gala presentation My Summer Of Love.